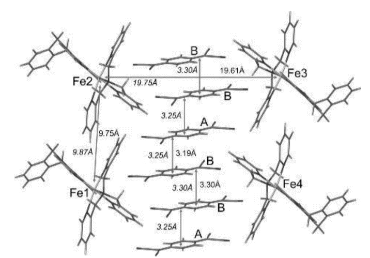 Our group works in a broadly defined area of advanced functional materials. 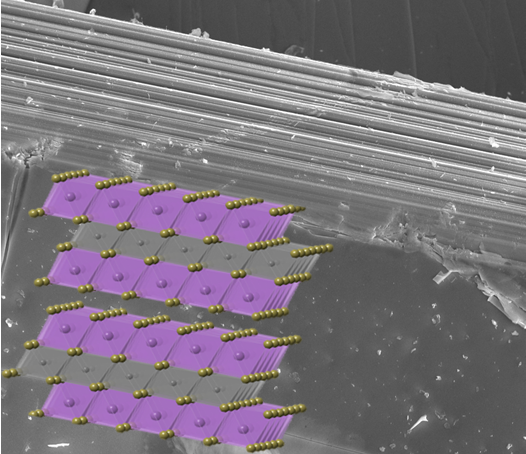 Our current, more specific research interests include photo-switchable molecular materials, intermetallic magnets for magnetic refrigeration and electric vehicles, and low-dimensional magnetic materials such as spin-frustrated 2D magnets and nanomagnets. 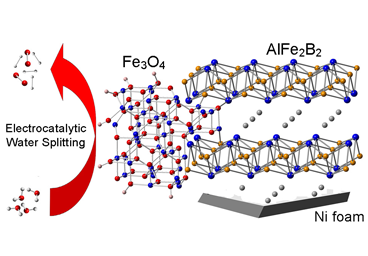 The disciplinary focus of our work lies within inorganic materials chemistry, with strong interdisciplinary crossover to physical and organic chemistry, as well as to condensed matter physics and machine learning. 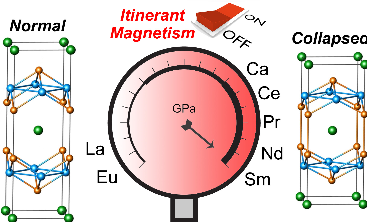 The students and postdocs obtain diverse training in inorganic and organic syntheses, X-ray and neutron scattering methods, magnetic and electrical property measurements, optical, infrared, NMR, and EPR spectroscopy, as well as computational approaches to elucidation and discovery of new functional materials. 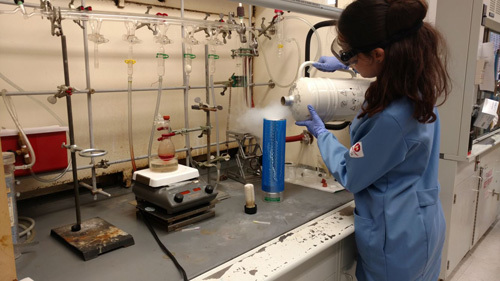 Ökten preparing liquid nitrogen for her Schlenk line trap. 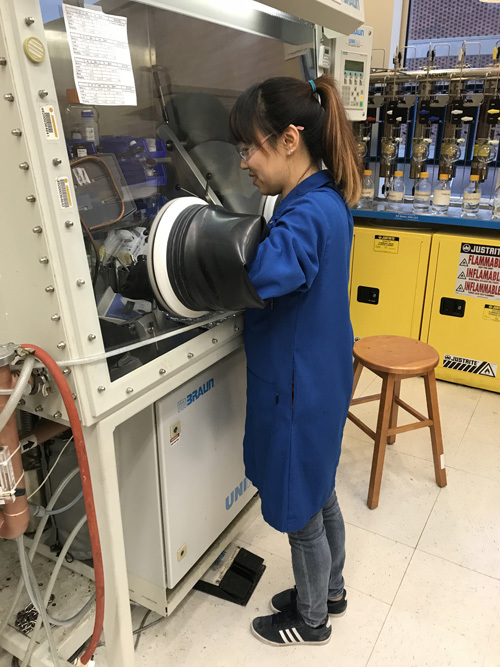 Minyoung preparing to remove compounds from a glovebox. 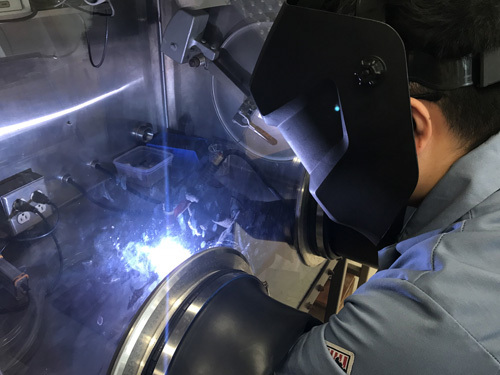 YiXu melting a sample in the high-temperature synthesis glovebox. 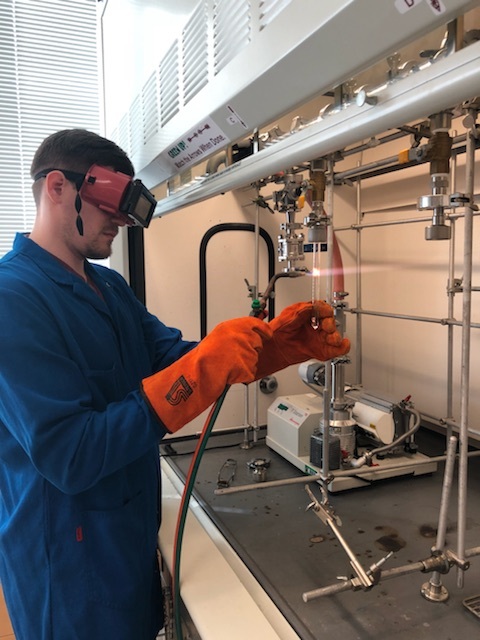 Dallas sealing a sample in a tube under vacuum to keep oxygen out of a reaction. 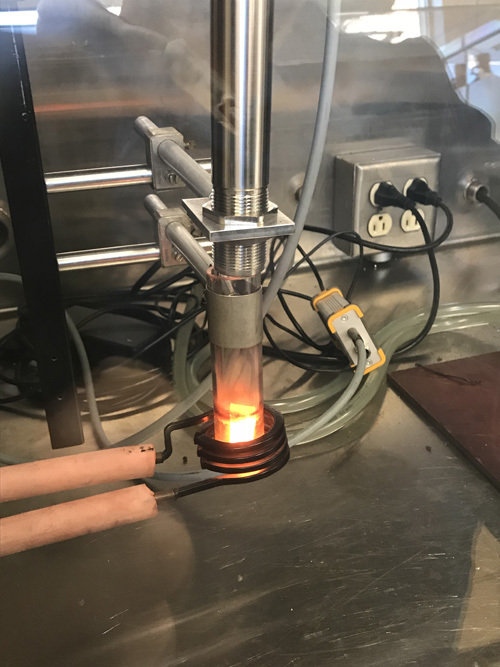 A sample being heated through induction (also known as RF melting). 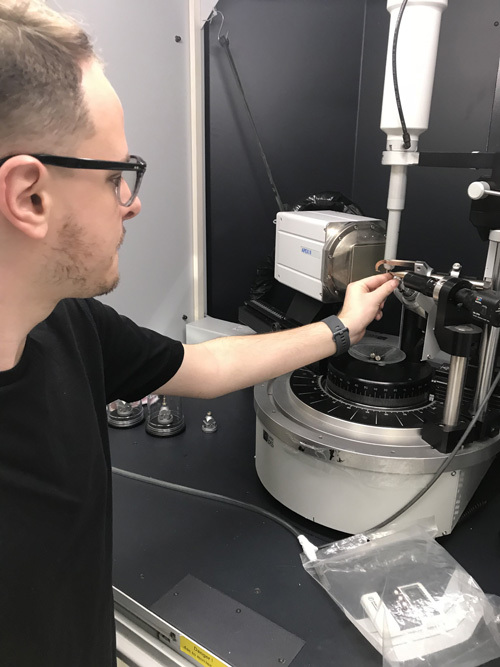 Jeff mounting a crystal on the Bruker single-crystal diffractometer (Departmental access). 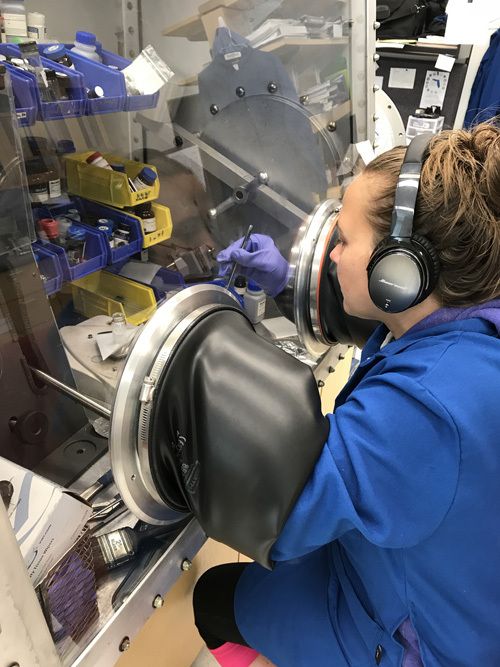 Judy mounting a sample for powder x-ray diffraction on the Panalytical (Departmental access). 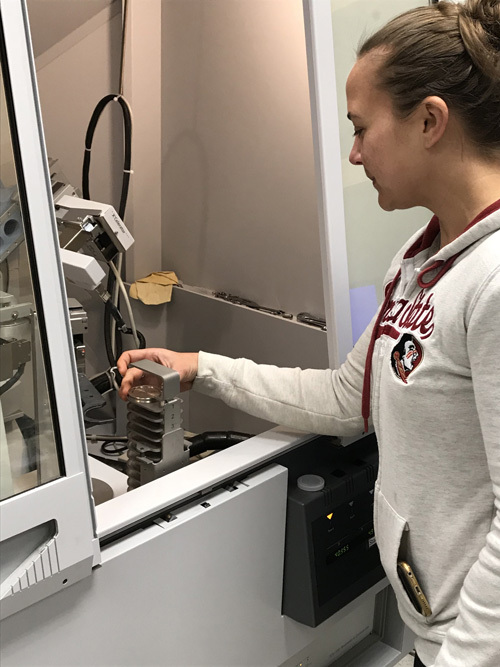 Okten collecting a crystal structure on the brand-new Rigaku single crystal diffractometer (Departmental access). 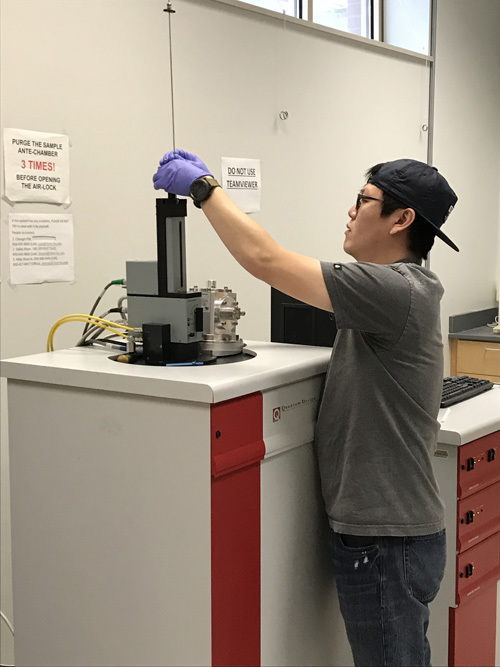 Chongin loading a sample into the SQUID (Departmental access). 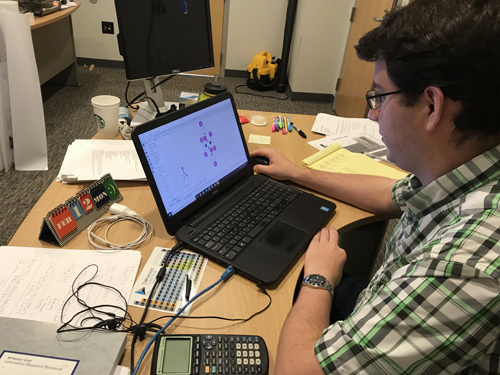 Vincent performing a DFT-based calculation. Zack and Ökten both gave their fourth year talks at the department's Inorganic Chemistry seminar! 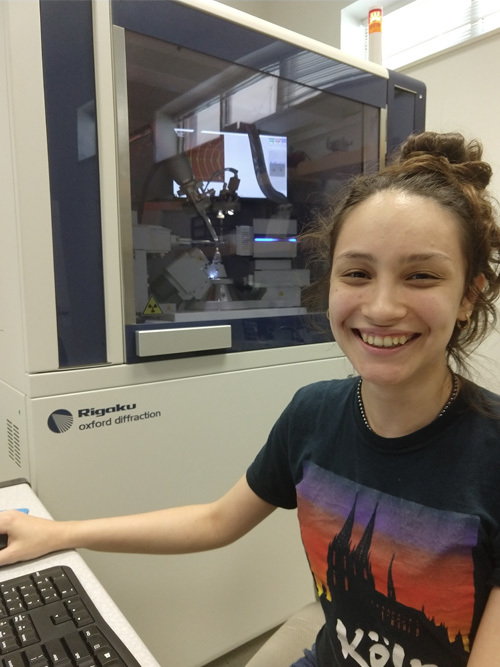 2nd and 3rd years Judy and Dallas have been accepted to the National School on Neutron and X-Ray Scattering, and the National American Solid State Conference respectively! Congratulations to our two new doctors, Drs. Jeff Lengyel and Minyoung Jo! The Shatruk group had a very successful trip to the National ACS Meeting and Expo in Orlando! © 2010 - Michael Shatruk. All rights reserved.